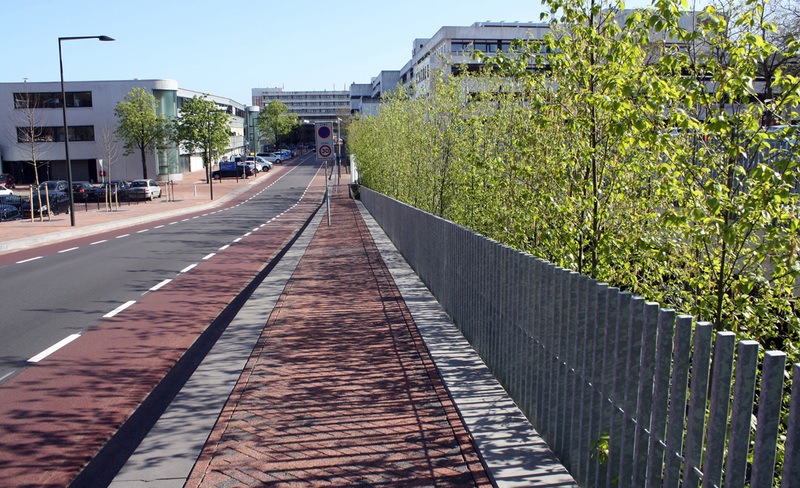 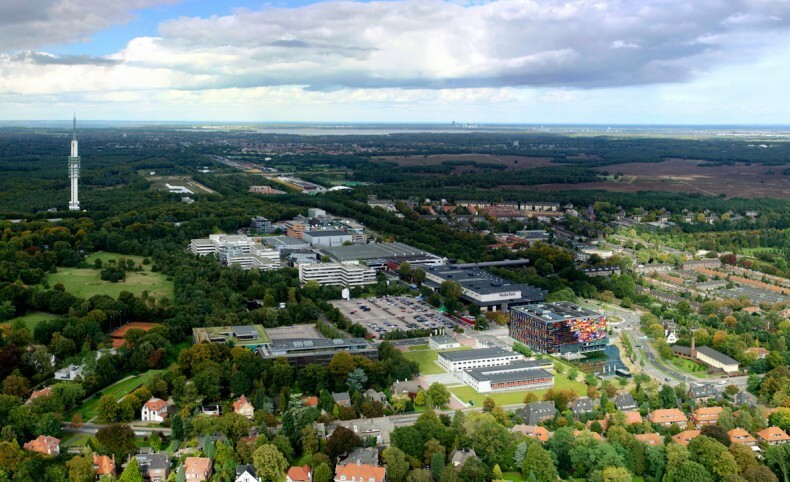 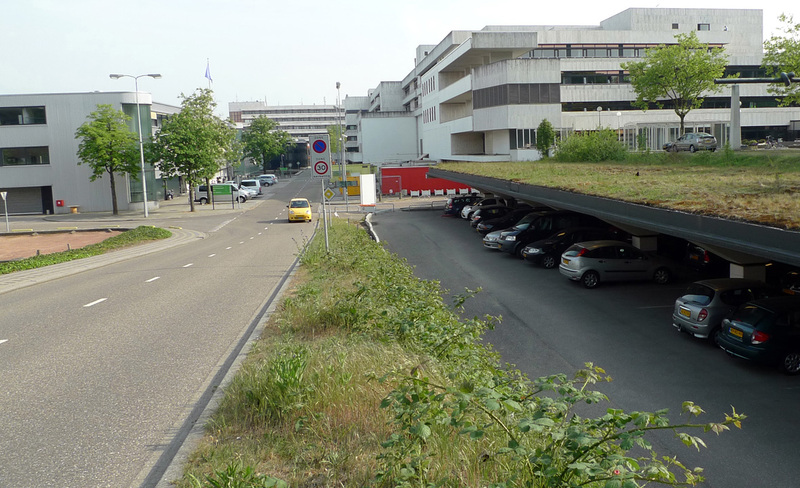 The newly remodeled Leen Jongewaardweg at the Media Park in Hilversum has opened to the public on April 20. 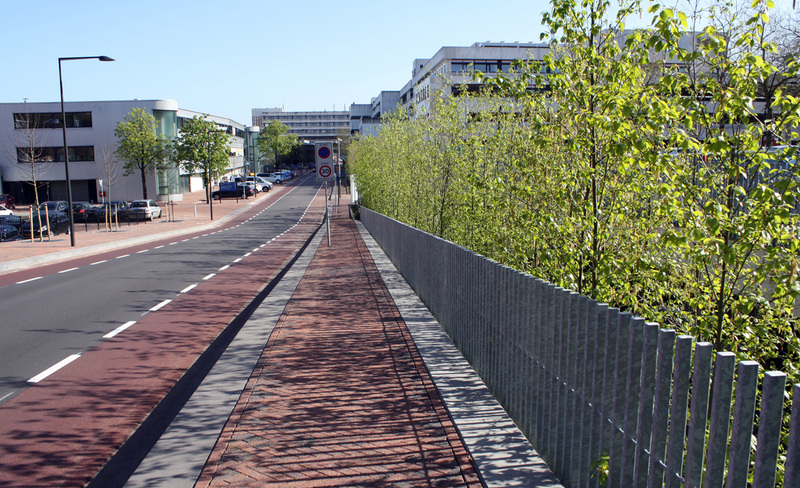 The karres+brands designed street is part of the gradual transformation to a Media Park with high landscape quality and an enhanced public character. 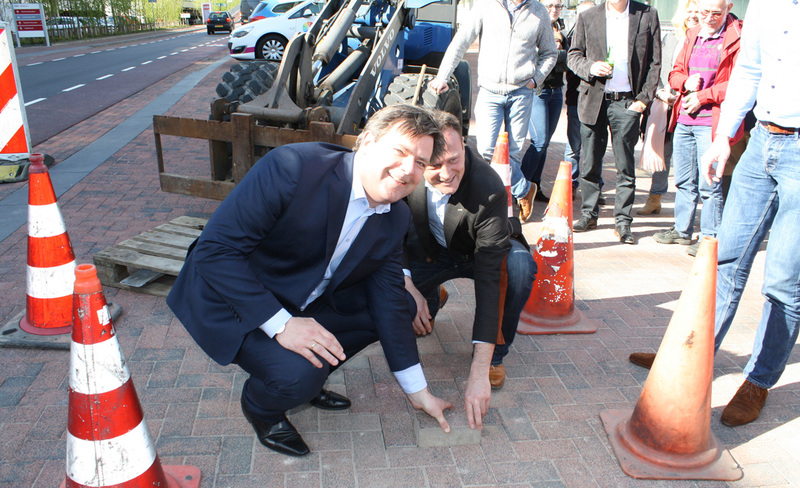 The Media Park Beheer director together with the spatial planning councilor placed the last brick in place to complete the pavement.